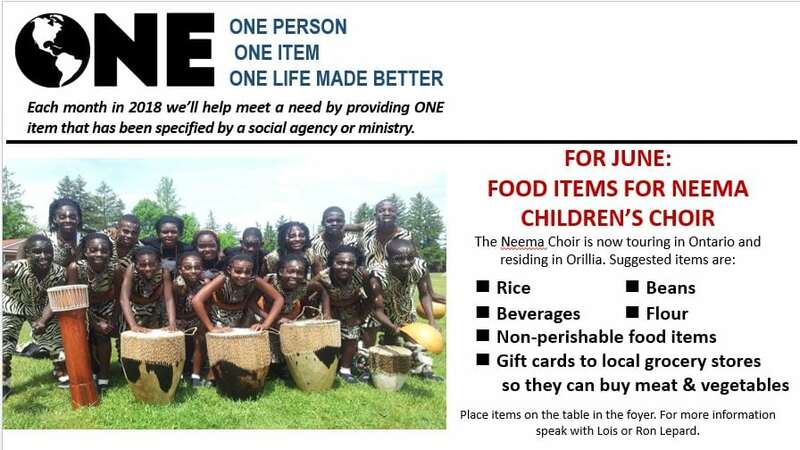 The Neema Choir is now touring in Ontario & residing in Orillia. 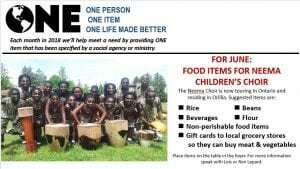 You can bring items to OCC. For more information speak with Lois or Ron Lepard.